Come Visit Image Maker's Eyebrow Expert! A good eyebrow designer will create a brow shape that is right for your face shape. When tweezing your eyebrows you want to accomplish the best shape without sacrificing their natural look. Badly shaped eyebrows affect the appearance of the eyes. It can be distracting rather than enhancing. When done well, eyebrow shaping calls attention to your eyes, frames them and makes them appear more open. The overall appearance of the eye area is defined by the arch, length, and thickness of the eyebrow. Don’t ever shape your eyebrows yourself, or have them tweezed from people that are not brow experts, they tend to do the same mistakes you would do. A permanent curl, also called an eyelash perm is very popular because it looks more natural than mascara, and lasts two to three months. Eyelash tinting temporarily dyes the eyelashes. This is done to achieve the look of wearing mascara without having to apply makeup daily. It also makes eyelashes appear longer, as the tips are naturally lighter. After the tint, they appear longer. Tinted eyelashes will stay dark for about 3 to 5 weeks. Learn About Latisse to grow your own lashes. Learn About the Eyebrow Transplant Procedure. How does the extension perform? 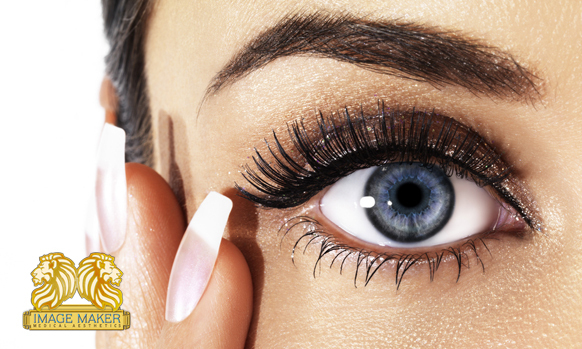 Synthetic lashes are applied one by one to your natural lashes. The lashes are bonded to your natural lashes and away from the skin and neither the glue or the extension lashes ever come in contact to your skin. Semi-Permanent Eyelashes. Beautiful Lashes That Last Two Months Or More! 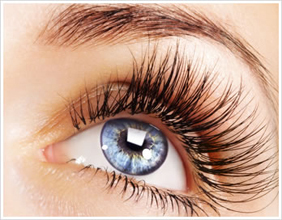 Eye Lash Extensions is a procedure that extends your natural eyelashes. The extension lashes look and feel identical to human lashes.